Miguel hasn't missed El Salvador since arriving in North America with his mother and sister. But with his father still in El Salvador and gangs shaking down the old neighborhood, life isn't easy for Miguel. When his father's situation becomes critical, Miguel becomes desperate to bring him to North America. But he can't even afford to join his baseball team on a road game — how can his family possibly pay his father's way? A solution comes from Miguel's teammate, who proposes a big baseball fundraiser. 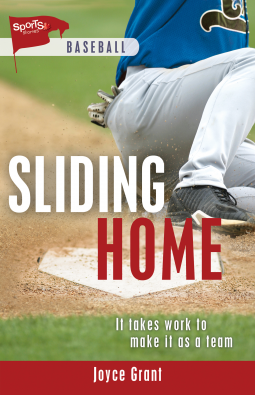 As the team learns about the hard realities some new immigrant kids face, Miguel and his family learn to trust their neighbors and teammates.